I recently visited Saint Louis Missouri for the weekend and while I was there I visited four breweries, Perennial Artisan Ales, Side Project, Schlafly, and 4 Hands. Both Perennial and Side Project are closed on Sundays so they were my focus for my first day. I started with Side Project where I tried only two beers because I was heading to Perennial next, but they were along the way from the airport so I couldn’t complain. Despite the name, which might get some people to believe they are approaching things with anything less than full dedication, I was quite impressed by Side Project. They had a massive list of guest beers on tap and four house beers available when I visited along with an extensive list of hard liquor and wine. It seemed that all of the breweries I visited (with the possible exception of Perennial) had hard liquor available, which is unusual coming from San Diego but they were also serving food so it made sense. I tried Grisette Blend #3, a wine barrel aged farmhouse ale with brett, and a wild ale aged in French oak that was on cask. The Grisette was delicious and effervescent beer that tasted like a mix between champagne and moscato. It had light fruity flavors and a mild funk. Overall I was impressed by the depth of flavor for a 4% beer. The cask wild ale was really smooth and lightly tart with notes of lemon. It was scary smooth and super easy-drinking, with a nice dry finish. I might have ordered two or three more of this one if I wasn’t heading to another brewery after. Come to Side Project only if you like sours or want to try some of the guest beers they offer. 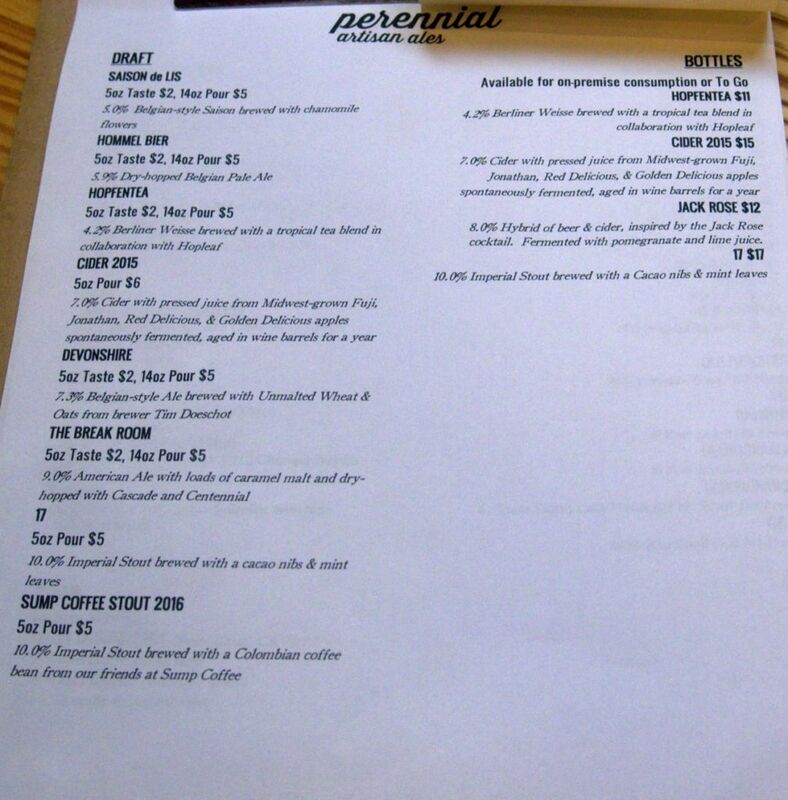 I didn’t try everything on tap at Perennial in part because of the price of the tasters and in part because I wanted to focus on the delicious and super strong stouts. I tried four beers in total. I tried the saison de lus, a saison brewed with chamomile, hopfentea, a Berliner Weisse brewed with tropical flowers, 17, a chocolate mint imperial stout, and Sump, the ever tasty imperial stout with coffee. 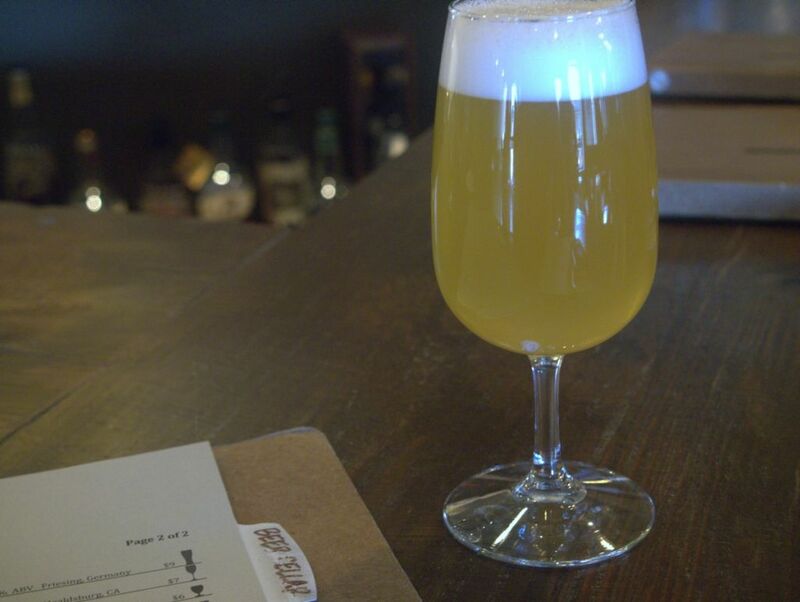 Saison de Lus was a delicious mix of the typical farmhouse flavor with a good balance from the chamomile. The beer was nice and fruity and very nicely balanced. I slightly preferred the Hopfentea, a delicious Berliner Weisse that perfectly blended a light tart kick with the tropical flowers. Since I have been drinking a lot of floral kombucha recently, I was glad that the beer lacked some of the more unpleasant flavors that can come when you put too much flower. Two lighter beers, hopfentea is the pink one. 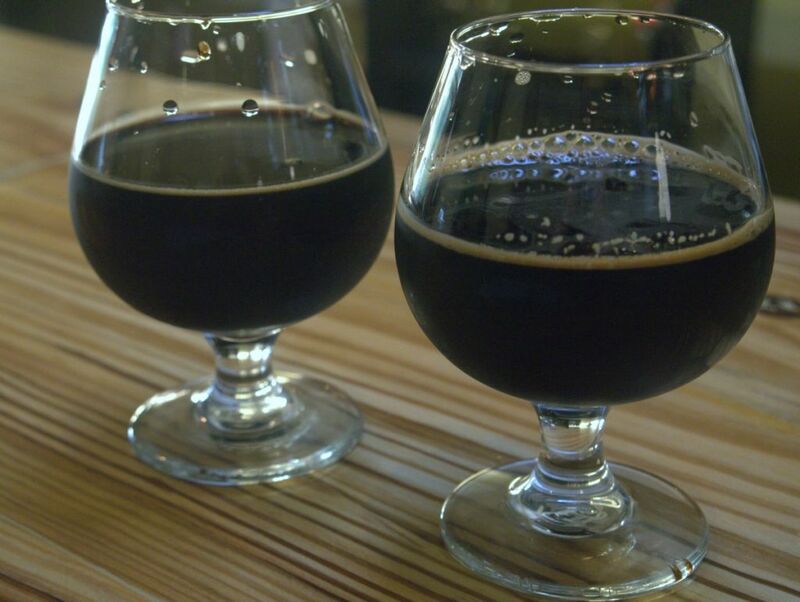 Two delicious super thick stouts. 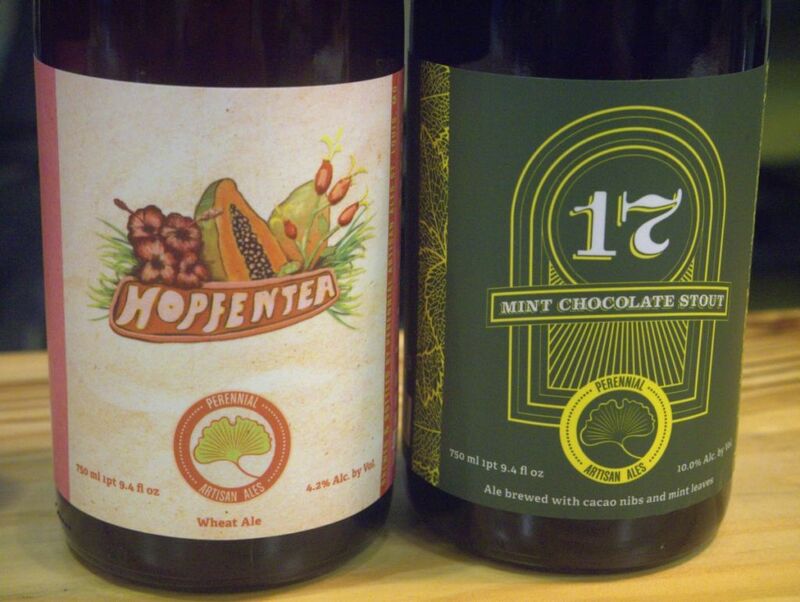 The 17 chocolate mint stout is the first time I have enjoyed mint in my stout. It was also my husband’s favorite of the two stouts. The chocolate and mint blended perfectly and the beer went down scary smooth. Next to the 17, the SUMP coffee imperial stout was also quite smooth with a mild coffee finish, medium body, and a sweet finish. After my husband and I finished the first two tasters of these beers, I ordered another taster of SUMP and we brought a bottle of 17 home with us (no SUMP bottles available when I was there). Despite the $5 a taster price these were both well worth it and I would have gone back the next day for more if they were open. 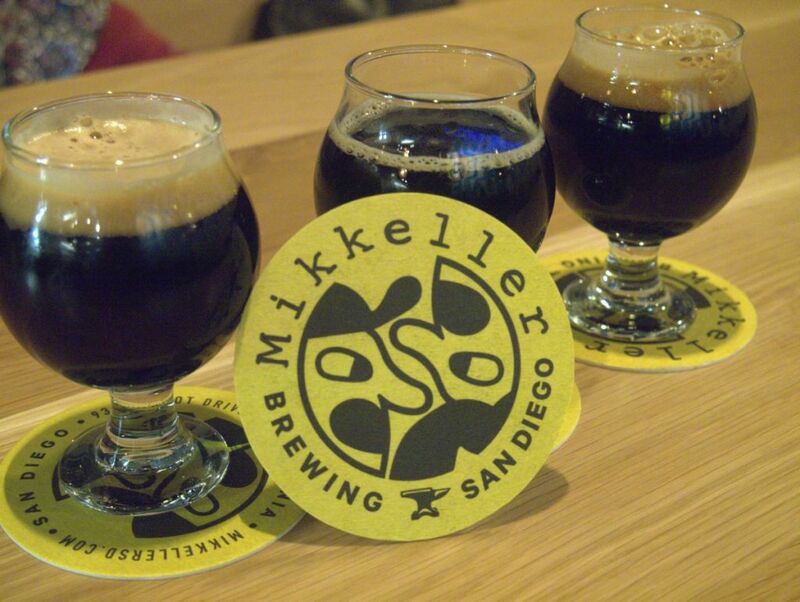 Order whatever imperial stouts they have available because that is what they are known for. There is some nice contrast between the breweries I visited so far in that one is known for its farmhouse ales and sours and another is known for its intense stouts. 4 Hands provides a nice wide variety of styles but again charges $3 to $4 for a taster and with so many beers to try it didn’t make sense to pay for each of them. Pricing was clearly geared towards getting customers to buy a pint, so eventually I obliged. I tried the Hatch, sour, Send Help, dry hopped blonde, Devil’s Invention coffee stout, two IPAs (not full tasters) and the double IPA. 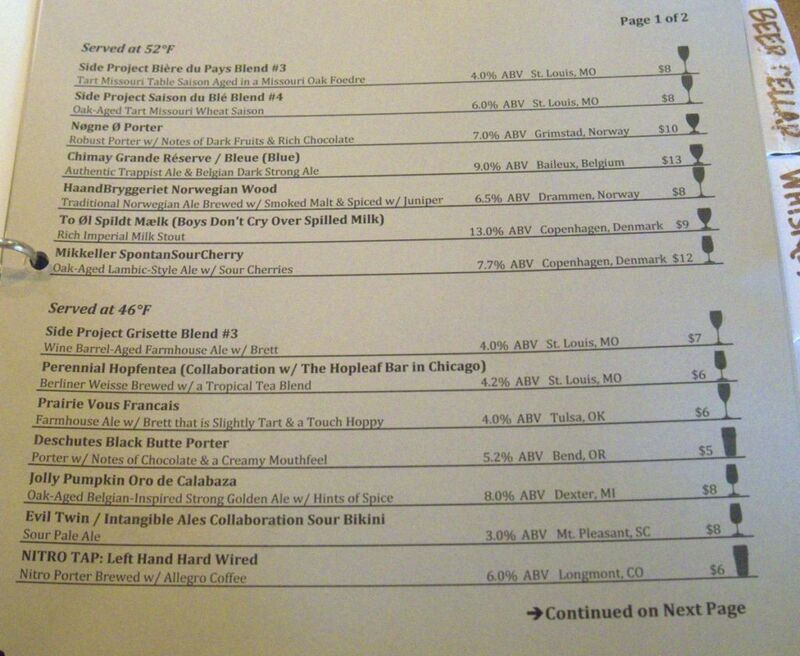 Huge taplist but at $3 to $4 a taster it is hard to try all of them. The Hatch sour was fairly average and didn’t live up to the sours at the other breweries. It was light and fruity and mildly tart but didn’t hit that sour spot. The send help on the other hand was a very impressive blonde, though it could easily be described as a modern pale ale. The hops burst from it with plenty of citrus and tropical fruits. The coffee porter was solid, smooth and fairly light on the coffee, though still much better than the one at Schlafly. The two IPAs I tried splashes of were fairly average as well and didn’t have that hop kick that I enjoyed in Send Help. Though the double IPA came through and hit all the right notes, quite impressively. Double IPA I ordered at the end. The Double IPA was really smooth and super dank and resinous with notes of pine. I liked that it was very hop forward and the malts were subdued. It reminded me of Avery’s popular Maharaja. I enjoyed a full pour of the Double IPA before leaving the brewery. 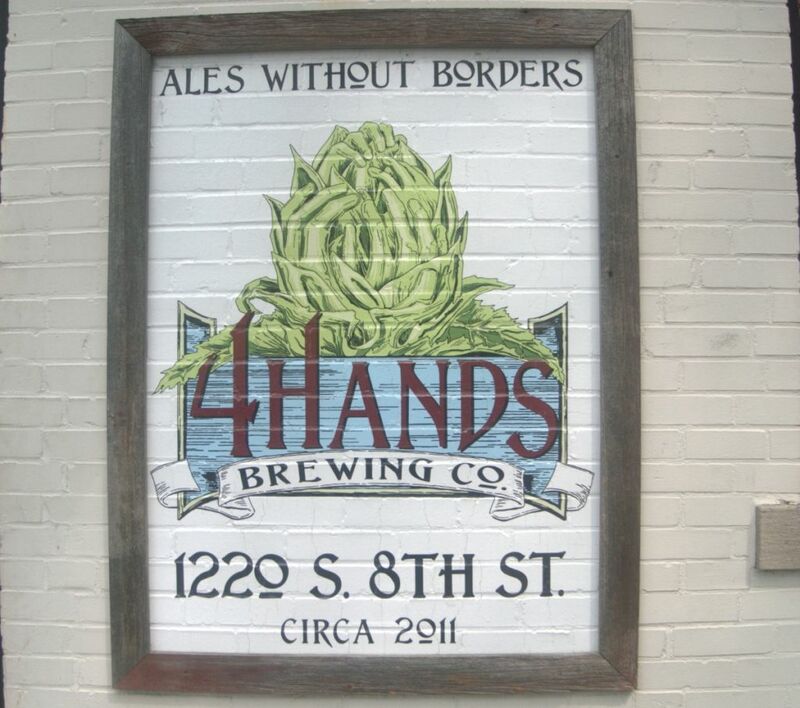 I enjoyed the atmosphere at 4 Hands quite a bit and like to see their wide selection of six-pack cans at the brewery of many of their hoppy offerings. They were the superior IPA option of the breweries I visited by far. 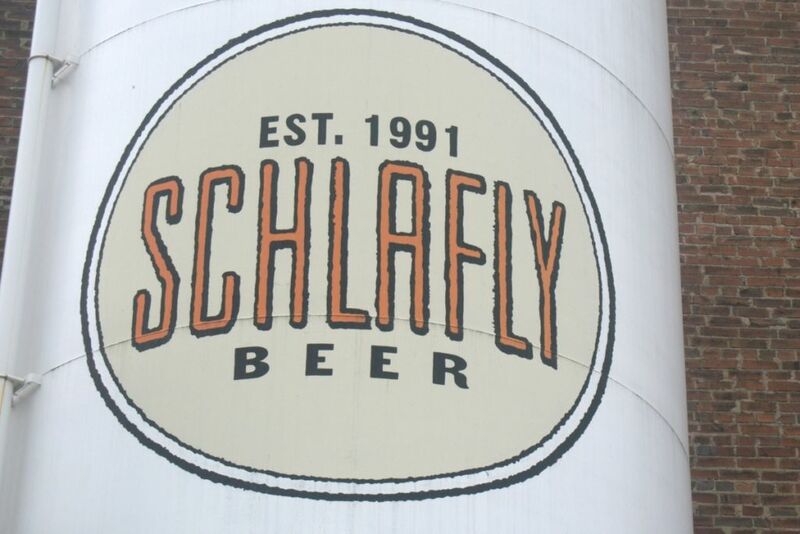 My last stop for my visit was Schlafly Brewing, where I was thankful that they served flights. I tried five beers total, the Blackberry sour, dry-hopped APA, oatmeal stout, farmhouse IPA, and double bean blonde. The blackberry sour was very tasty with a nice red color and medium acidity and plenty of berry flavor. This was my favorite of the bunch and one of the best sours of the weekend. The dry hopped APA was also very delicious and while it had similarities to the typical pale ale style it was nicely balanced and the hops were prominent with citrus and pine taking center stage. The oatmeal stout was fairly average and a little bit smoky but it didn’t live up to earlier stouts. The farmhouse IPA is a Belgian style IPA and has a cloudy yellow color and mixes the Belgian yeast spice with light citrus hops. I found the flavors didn’t really blend together very well and it had an overly sweet finish. Finally, the double bean blonde has both chocolate and coffee added. It was solid and the coffee was the dominant flavor with chocolate fairly subtle. The beers at Schlafly were solid but I would have rather tried more beers at 4 hands if they hadn’t charged so much for tasters, or returned to Perennial, if they were open that day. 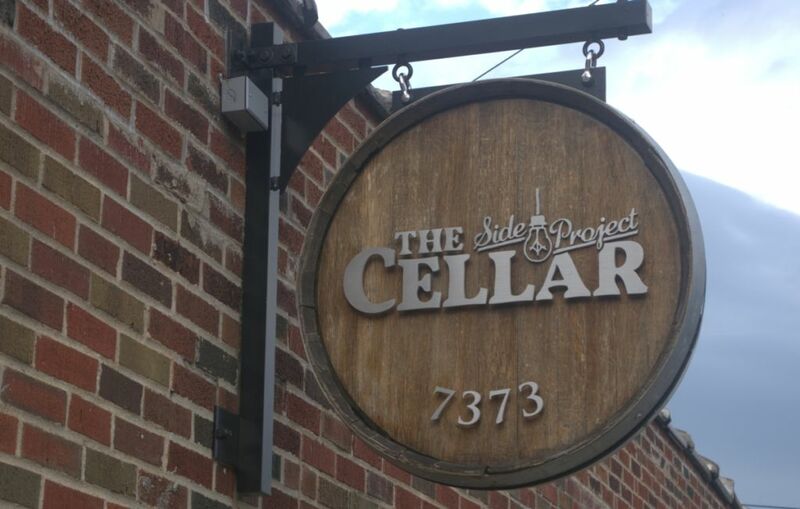 If you are coming to Saint Louis for Perennial and Side Project, you will find some delicious beer. I thought most of the breweries I visited had something that set it apart from the rest. 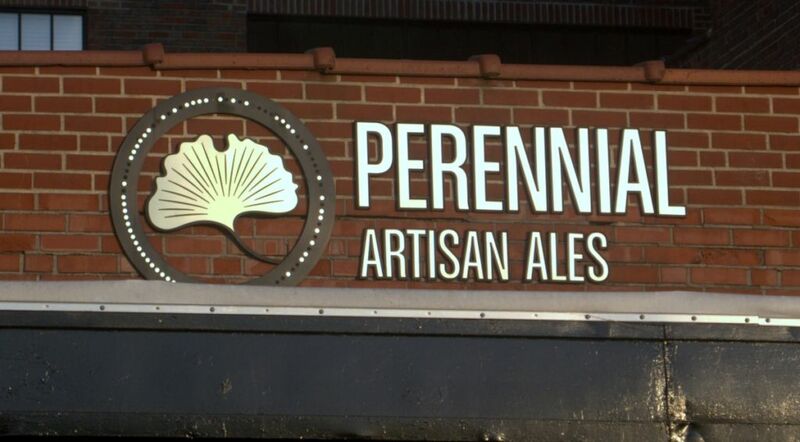 Though I was disappointed that most of the breweries charged a lot for tasters, I wouldn’t miss a chance to visit Perennial again. 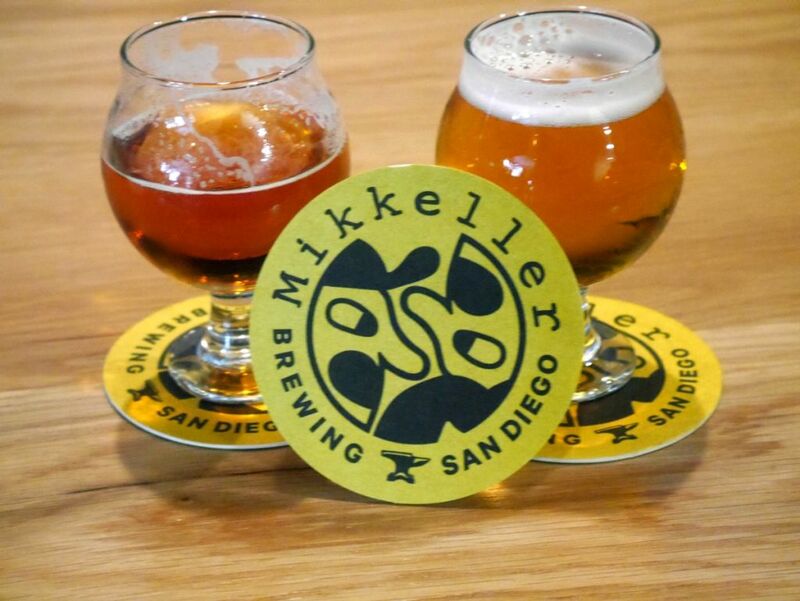 I visited Mikkeller’s San Diego location twice to cover the majority of the beers. They are such a big name that I wanted to try as much as possible. In total I tried 11 different beers. 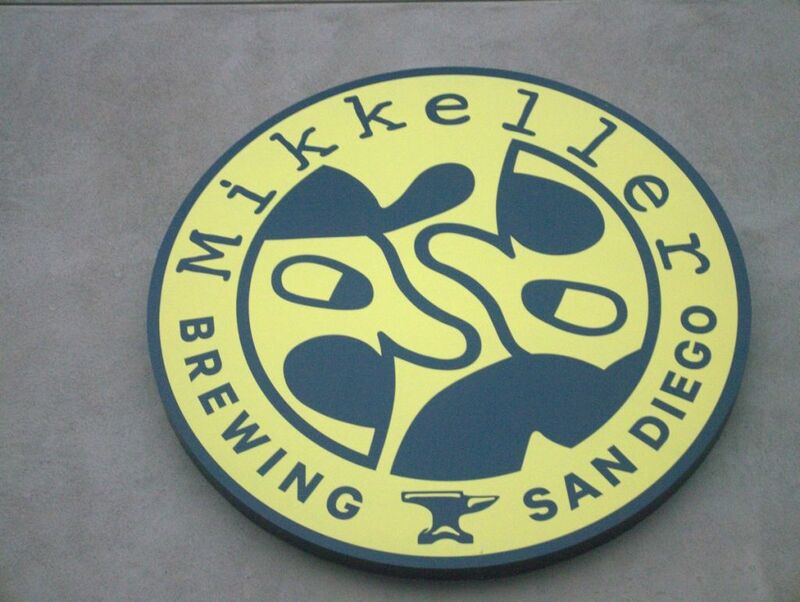 Mikkeller took over the old Alesmith location and is brewing beer with one of the Alesmith Brewers. 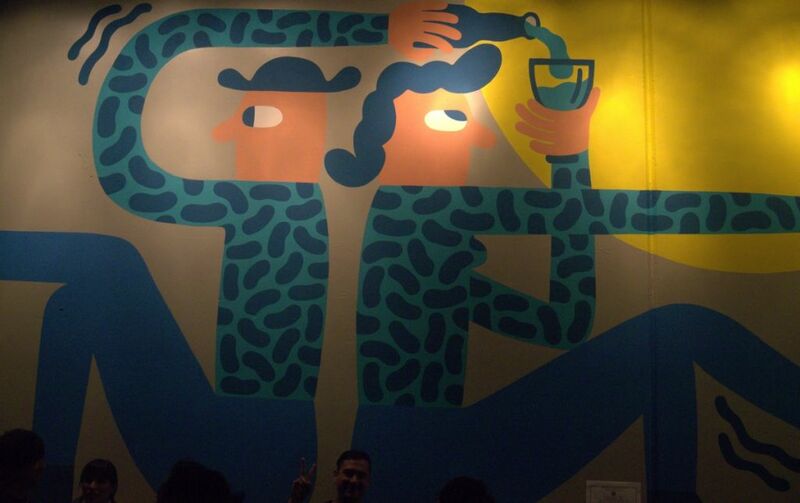 They gave the Alesmith tasting room a change in look including tons of wacky artwork of the sort that Mikkeller has on their bottles. To start with, I tried the two lightest beers. 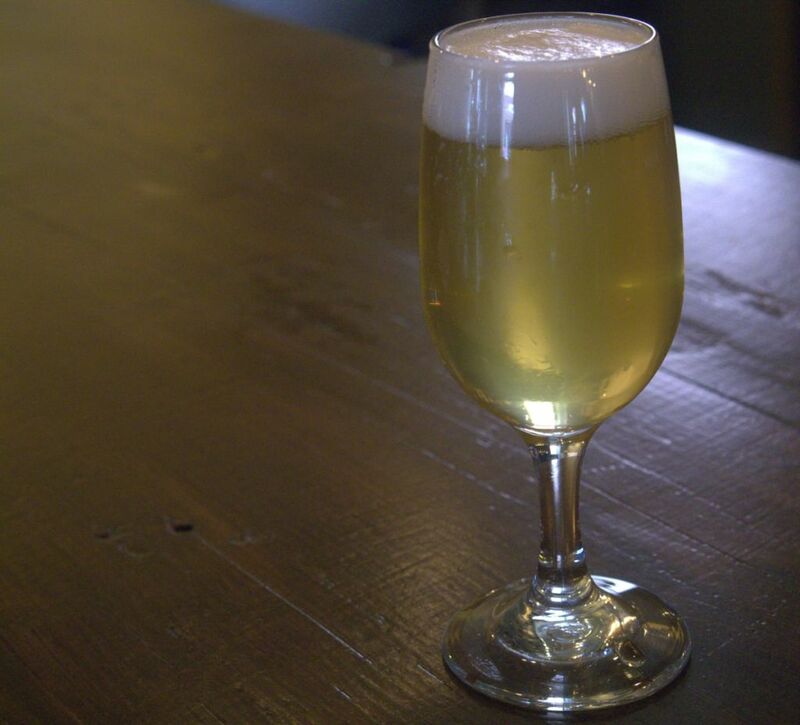 The Berliner Weisse was really nice beer that is lightly tart with notes of fruit and citrus. 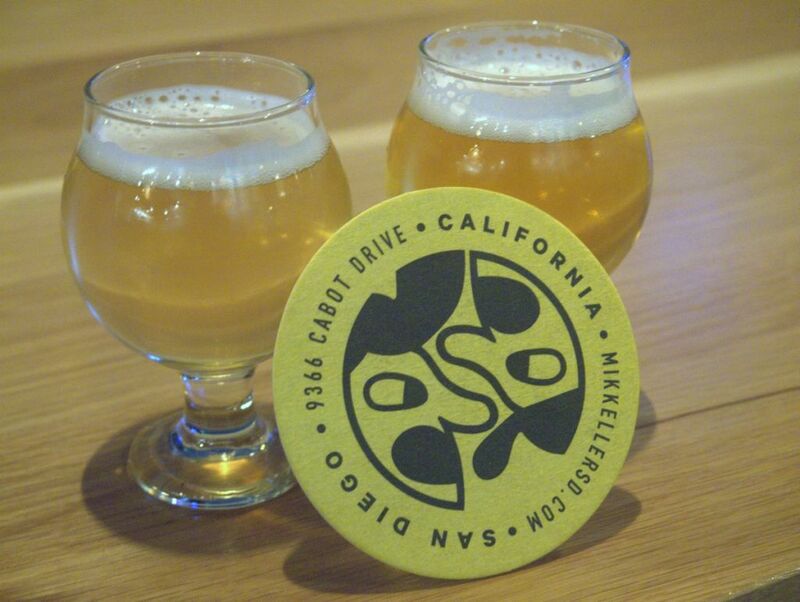 The Saison SD is also quite fruity with some mild funk, notes of banana and peach, and a solid earthy back end. Both of these were quite good. 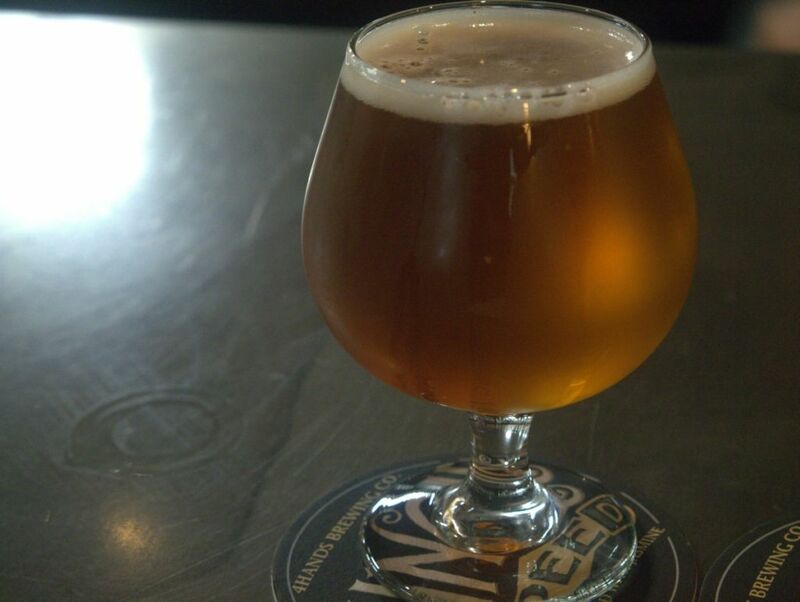 The Sparks pale ale is solidly balanced pale with notes of peach and other fruits with a medium bitter finish. The Waves IPA is super sticky and dank with overripe tropical fruit notes dominating but it is not overly bitter. The Brett IPA is super fruity and is a nice balance of funk and citrus hops. This and Waves were my two favorite hoppy beers. Brett IPAs are hard to get right kinda like Belgian IPAs because of the strong flavor the yeast imparts so I always try to recognize one that is done right. The Spells double IPA to me tasted like a double version of Sparks. It was similarly balanced with a nice bitter finish and some citrus hop flavor at the finish. Sparks and Spells aren’t bad per say but a bit less hop aroma forward compared to the Waves. Double IPA and Brett IPA. Hop Geek Breakfast is one of the most popular beers from Mikkeller and I thought it was solid but not fantastic. It is smooth and roasty with a bitter coffee finish and a mild sticky sweetness under. The coffee could have come on stronger though. Hop Geek Breakfast is a highly hopped version of the previous one. While the balance was there and the citrus and pine go well with the roast I would still prefer the Waves IPA over this. Flat White Beer Geek adds lactose and is the sweetest of the bunch. It balanced nicely between sweetness and coffee. The NY Verden Old Ale is thick and fruity with notes of cherry and mild smoke and a sweet finish. The Imperial Stout was thick and a mix of bitter chocolate and light smoke. I noticed a lot of the stouts had a similar mild smoke flavor to them that to me was a little off-putting. While I found the flat white too sweet, everyone else who I know really liked it the most of the stouts. 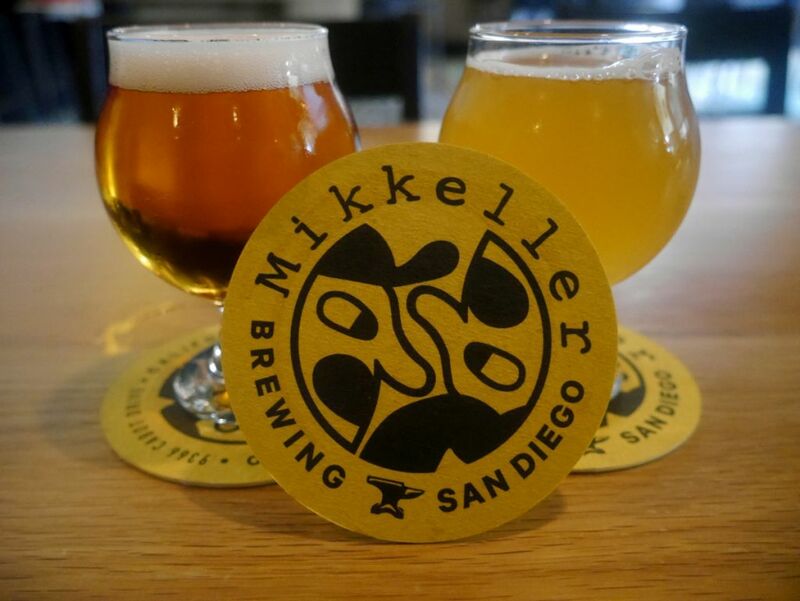 Mikkeller opened up out of the gate with a large tap list thanks to having a ton of recipes that have already been perfected. 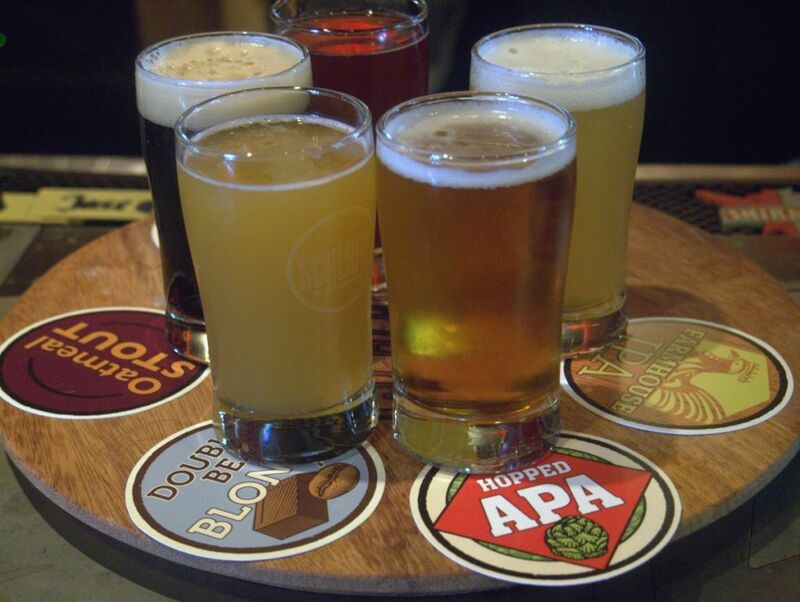 There is a little something for everyone on tap. Though I wasn’t huge on beer geek breakfast initially I am confident that they will get the recipe dialed in shortly and I will come to love it. 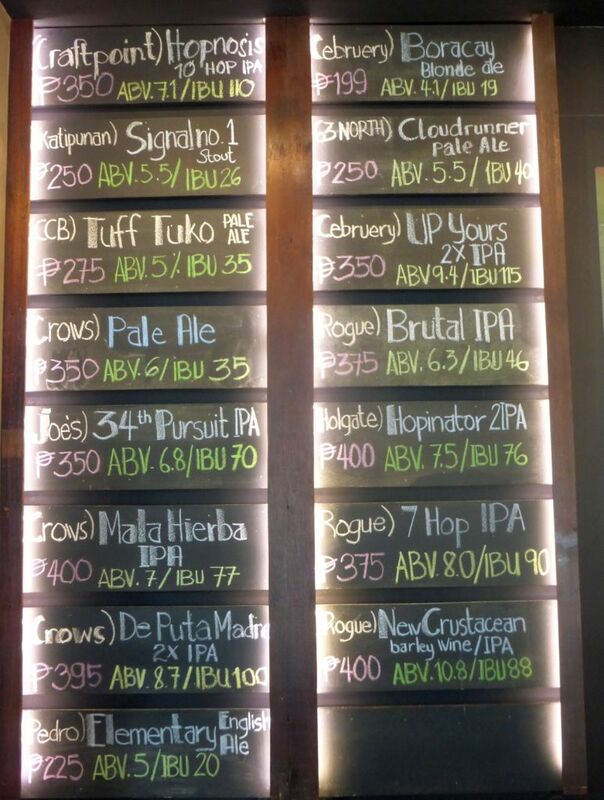 When I last posted about the state of Craft Beer in the Philippines, most bars were focused on import beers, many of which were from California. Though many of these imports are still available in Manila, the quality of beers brewed by small breweries has increased significantly. I still haven’t found any breweries offering full fledged tasting rooms or restaurants like the place I visited in Siem Reap but I am now much more optimistic for the future of craft beer in the Philippines. In this post I focus on Manila and Cebu, the two cities I visited during this trip. And specifically I focus on two drinking establishments, The Bottle Shop in BGC Mall in Manila, and Ilaputi Restaurant in Cebu where they have taps from Cebu based Turning Wheels Brewing. Some may have also read about Irie Gastropub, though they had closed temporarily and were not open when I visited though they do plan to re-open with even more taps. 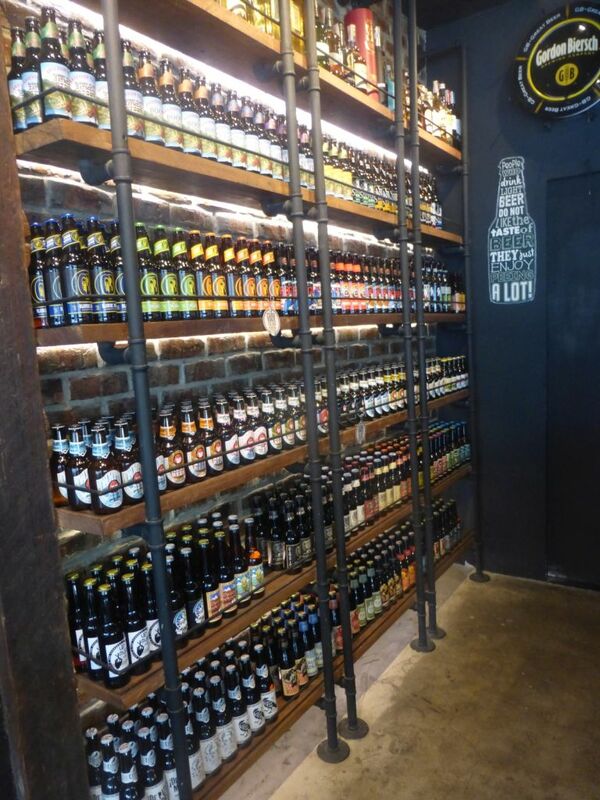 The Bottle Shop in Manila has 15 taps and tons of selection of mostly Filipino craft beer with a few imports thrown in. Prices range from 250 pesos ($5) to 400 pesos ($8.50). The Bottle Shop felt like any other craft beer bar around and the servers were quite knowledgeable about the beers pouring such that they were able to give me an idea about the difference between the numerous IPAs on the board. While at the bar I drank 3 local beers, Katipunan Brewing’s Stout, Crow’s Brewing Mala Hierba IPA and De Puta Madre Double IPA. Their solid lineup of bottles available. Katipunan Stout was quite impressive and I wasn’t expecting to like it after having some fairly disappointing beers from them during a previous trip. But for a lighter alcohol stout this was quite tasty and could easily have come from any number of smaller craft breweries out of San Diego. It was complex and balanced with smooth mix of coffee and chocolate and plenty of roast. The Mala Hierba IPA from Crow’s Brewing was quite tasty with a dank piney nose and citrus forward taste while not being too bitter or too malty. This is a fantastically balanced IPA and you will have a hard time finding anything better in the Philippines. I can’t remember if this is the double IPA or the single IPA but based on how dark it is, it is probably the double IPA. In comparison, the double IPA was slightly disappointing because it had a flavor closer to a barleywine and hints of apple came in at the back end. The double was much more malt forward and highly bitter with notes of grapefruit from the hops. I liked it when I first tasted it but after drinking half of my beer I wished I had ordered another Mala Hierba. The Bottle Shop has a solid selection of bottles of craft beer as well, with many imports and a few Filipino beers that didn’t make it on the list. This is for sure a must stop if you are in Manila and want something other than the local macro beers. 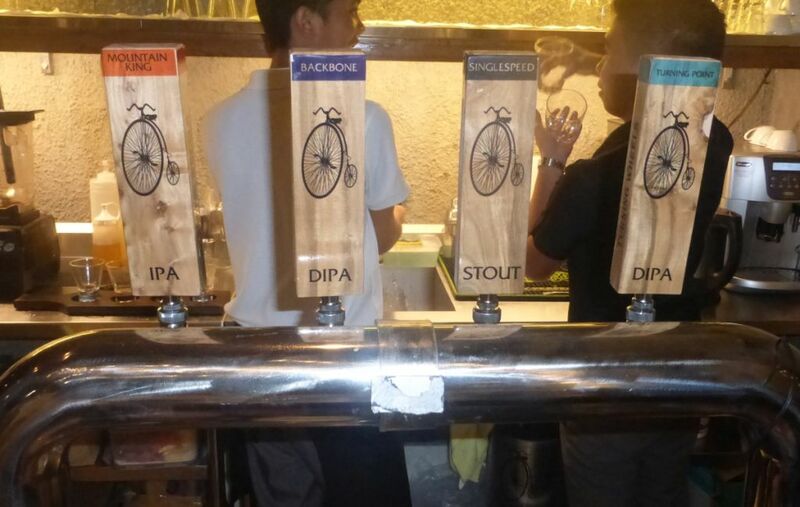 On tap at Ilaputi are all beers from Turning Wheels, a Cebu based brewery. I tried a flight that had two double IPAs, an IPA, and an Imperial Stout. The first double IPA was cloudy and unfiltered with citrus hops dominating and fruity undertones. It was the most bitter of the bunch and probably the closest to an IPA. I also found out later that this was the freshest of the bunch too. Though I could drink it, I didn’t find it as tasty as Crow’s IPA mentioned above. 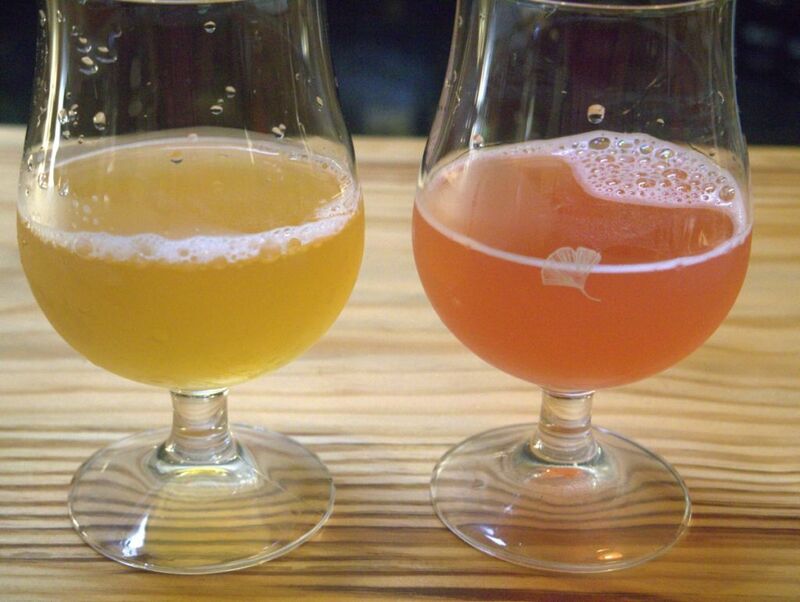 As you can see, many of these beers are really hazy. The IPA was malt forward and not as bitter, not very hoppy or impressive. The second double IPA was also quite cloudy and unfiltered with a strong bitterness and primarily citrus hops but it lacked the aromas that made the first double IPA so tasty. The Imperial Stout was fairly light body and was a primary mix of chocolate and roast but it also had the distinct flavor of pilsner malt, taking away from what might have been a tasty stout. It didn’t have enough body or flavor for the alcohol and compared with the Katipunan stout I had in Manila simply wasn’t close enough to style. Still, the first double IPA was tasty enough that I would want to go back if I was in town. 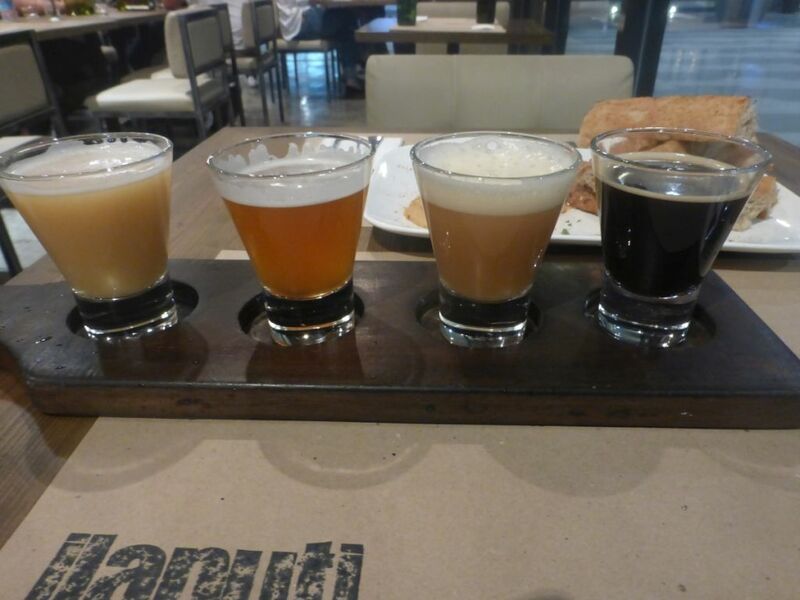 I also was impressed by the presentation at Ilaputi with offering a flight of tasters on a flight board. 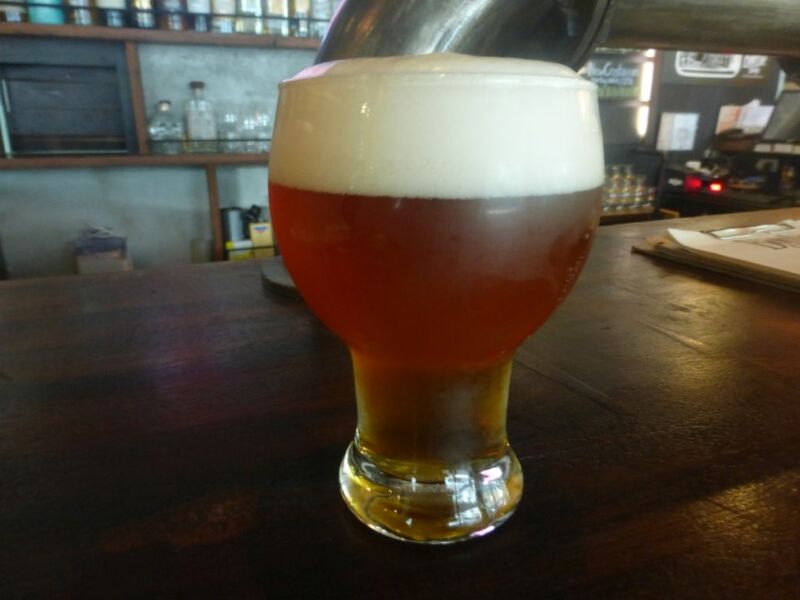 Considering my last post suggested there was not much hope for where craft beer in the Philippines is headed, I am now excited for where Turning Wheels and Crow’s Brewing go from here because they are obviously talented brewers and have an idea of what hoppy beers should taste like. If I hadn’t been to manila that fresh double IPA would have been just the thing I needed to hit the spot. While I wouldn’t suggest going to the Philippines specifically to try their beers if you are in the area these places are certainly worth visiting. I should also note that another place nearby was serving two beers on tap from the Cebruery. I was even less impressed by their stout and blonde than anything else mentioned above. So Crow’s and Turning Wheels are the two ones to seek out if you end up in The Philippines.